Shadow People could be so many things. No one really knows exactly, all we can do is speculate. There are different theories of what they might be. So I’ll try to explain the best I can. First and foremost...I do not pretend to know all the answers. All I can do is state what the general consensus is and my own thoughts from my personal experiences so that you can come to your own conclusions. All I ask is that you keep an open mind to all possibilities. Ask for yourself after reading the following information what rings true to you and do some research of your own as well. Then form your own conclusions of what you might of seen or have been experienced. The information giving here is formulated to guide you as what Shadow people/ Shadow Beings/ Shadow Entities are. Again, no one really knows for sure, all I can say for sure, is when we command it to leave our presence in the name of our higher power most of the time it will leave, for it has for me many times. Most people who described experiencing a shadow being, almost always describe it as seeing them through the corner of their eyes. And as they turn to get a better look at it, it’s gone, or they see it go by quickly through hallways as they walk by it. Whatever these beings are, we know this much, they don’t like to be seen! Almost always, they are seen by accident or they been caught on camera by chance while general pictures are being taken. If you go looking for one chances are it will stay hidden from you. Most of the time, it's our imagination playing tricks on our mind. (We all been there) Seeing shadowy figures within the dark corners of a room and a sense of fear over whelms us because we are not sure of what we are seeing, only to turn on the lights and see it is nothing more than an old shirt or jacket we put on chair or door knob earlier and laugh hysterically at ourselves at how easily we got scared. However, there are times that people actually have seen shadowy figures and they are very much real. I will state some opinions of what some people think these things are, regardless of what they are, it’s intelligent and will respond to our fears and or our commands. Regardless, whatever it is, we DO have the POWER to rebuke it and command it to leave our presence. (I borrowed the format of one website, and used some of their information, however I elaborated a bit more, and added information based on what I found on other sites as well). All sites noted at bottom of page so you can read more if you like. Most people who encounter shadow beings describe them as shadow forms with no real form, just a blob. Sometimes it resembles a silhouette of a person, but with no real facial expressions or definition. People have reported having a feeling of dread, fear and on occasions some sort of paralysis before, during or after a sighting. This is the most common association to shadow people/beings. A low vibrational entity that is associated with strong malevolent feelings and or desires. A lot of people have associated these “feelings” with something bad, malevolent or even demonic in nature. Remember, they can’t touch us, unless we “allow” them to. Stay in control, do not give in to fear, and put a light of protection around you and rebuke it in the name of your higher power, and depending how strong this entity is will determined whether or not you’ll need extra help to get ‘rid” of it. See "how to protect yourself". One theory is that when you’re at a location where traumatic events took place, it may have left a psychic energy impression on that area if it's outdoor, or in a physical location like a home or a building or a physical item associated with that event. And these beings manifest in thought forms, in other words, they are a collections of negative psychic energies created by these tragic and or horrific events. This psychic energy begins to manifest and takes on all sorts of forms and most likely thrives on fear and or negative emotions like anger, hatred, jealousy, etc...that could generate stronger negative emotional energies that continues to grow in that area. This is why sometimes we hear of certain places having similar crimes being committed over and over in the same general location. Very different from shadow beings. A lot of people can been confusing shadow people with blacked robed beings. I personally think they are two different entities...Shadow figures and misty dark figures has no define form to them, and we see them in the corners of our eyes and it eludes us no sooner we try to look directly at it. It usually tries to hide and never shows itself, at least not intentionally, and when it does, my feelings are they come to feed off your fear. The dark robed figures are usually associated at night time, while people are asleep. Some get a sense of awareness of a presence either approaching and or standing over them while they are in bed. And once they are aware of this presence they are over whelmed with fear as these entities stands over them, they find themselves paralyzed not able to move nor scream and feeling powerless. (I have had this experience many times) they would come and hover over my bed just “watching” me. when I feel myself getting paralyze and feeling frightened by it, I tell them (through my thoughts ) I don’t like that I can't move and rebuke them in the name of my higher power, and they immediately go and the feeling of being paralyze goes away. There only been one time, that I found myself fighting them off. (When I tried to call upon my higher power- it seemed to me that they scrambled my thoughts, and I couldn't say it. However, I was strong, and knew if I focused hard enough I can say those thoughts eternally and rebuke them so that they can release me. And so they did. For me I can usually feel them coming closer to me from afar, meaning I feel their presence nearing my room. I have heard many similar stories regarding a dark robed looking figure standing by their beds and personally I do not feel this has anything to do with shadow beings... It’s totally a different phenomenon entirely. Shadow beings don’t like to be seen and they usually don’t have a form, that these Robed entities do, you can clearly see some sort of definition, one thing in common is neither has a face, both are covered within the darkness. 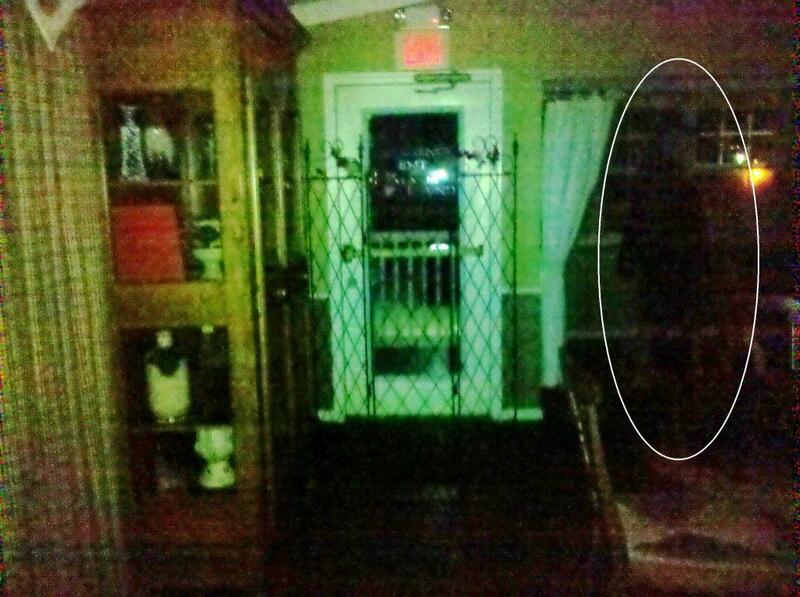 It could be any number of the other entities I mentioned in this article but not a shadow being. Regardless of what ever it is we have the power in our minds to rebuke them all. Some believe that there are different levels of dimensions that we all live on. Depending on the level of vibrational density that the entities may be at, it could determine what form it takes in our reality. And since our Vibration is different from theirs, we may be seeing them as shadow figures. Our galaxy is filled with energy vortexes, could these entities traveling though them? ** I personally traveled (remote viewing, that is) and while I was sitting there experiencing this, I was taken to different location for about 3 seconds or so, just enough for me to observe, then boom, before I knew it, I was at another location and then another, then another. (I happen to be sitting at a portal/vortex at a place where I happened to be investigating ) this was all in real time, ( so that's how I experienced it at the time) so the question here is, if anyone was to have seen me at these locations as I was remote viewing, could they have seen me as a shadowy figure as well? We'll may never know. Many claims they can travel when they are asleep or have out of bodies experiences also known as OBEs (leave their bodies in bed and travel within a certain room, house, a country and even outer-space). One theory is what we might be seeing is a person (one of us, a human in spirit form roaming around without our physical bodies) -- from personal experience I know we can leave our bodies, for I left mine when I was 16. If someone were to see me, would they see me in a shadowy form again, who knows?? Another theory is, could it be Extraterrestrials...some says they can appear and disappear. My input on this Theory: I know its crazy to say I experience this also, but I have. When I was 10, I saw what appeared to me, a little Being, he was not of this world, only later when I was a bit order in my late teens, I came to learn that people referred to this little being as a "Grey" and they do appear and disappear at will cause I saw it with my own eyes, however. My personal experience when I was in his presence, was that he was a solid entity, not shadowy at all and it stood there for a while staring at me.. shadow figures are known to be elusive and doesn't like to been seen. We can’t prove or disprove any of these theories, all we can do is reach inside of ourselves and try to remember the feelings or experiences we had, like myself. When you encounter these shadowy beings try your best to analyze what it really means. Were you scared because you didn't know what exactly you were seeing? Did you have a feeling of knowing something bad was about to happen to you? Did you feel it controlling your thoughts? How easily or difficult was it for you to rebuke this entity, if you did? How long did this entity stay or keep a hold on you? You have to put all these things into account when you encounter a shadow being. Ghost, spirits or Angels are not shadow people.. Most spirits you can see through them, they are usually white & misty in their formation, and sometimes they wear some form of clothing associated with a certain era they might of lived in for ease of recognition to the person they are revealing themselves to and and other times they have recognizable facial features as well. Sometimes they come only in a mist other times in a recognizable apparitions. In some cases with a ghost you may feel feelings of sadness, anger, happiness, protected, or even a sense of fear, depending on that ghost/spirit and the type of ghost spirit it is. But generally a shadow person is not associated with ghosts. They are entirely two separate entities. They can all read our minds, every one of them, remember that. So if ever you feel frightened, know you can rebuke them. Hope this article helps to decipher what exactly you might be seeing and or experience. First and foremost, release your fear. Take control and use that fear and turn it into a weapon of powerful rebuking energy. If you happen to see or feel the shadow being, and there is a feeling of dread for fear, then turn that fear into a command enlighten and anointed with your higher power ( GOD) and COMMAND the entity to leave your presence. Regardless whether it’s a shadow being, or a spirit, or ET's they usually go, if you command it.. (I know this through my own personal experiences throughout my life. (I got some of information from these sites ( so I get get the general consensus I also included my own thoughts on each of them).